Window Tint? Auto Glass Repair or Replacement? Vehicle Wraps? Get a Quote! One of the best auto glass shops in the Henderson/Las Vegas, NV area, Team Acme Inc. specializes in repairing and replacing auto glass. With in-house printing machines and a team of graphic designers, we also offer full and partial vehicle wraps, window wraps, and carbon-based tint. From luxury cars and specialty vehicles to RVs and trucks, we do it all! Interested in wrapping your vehicle, tinting your windows, or repairing a chip or crack in your glass? Get a quote today! We received your request. A quote will be sent to the email you provided. Copyright @ 2014. All rights reserved by Team Acme Inc. 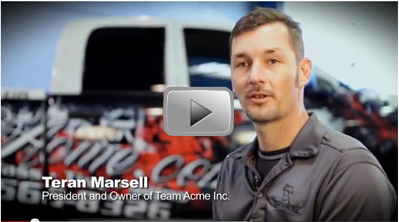 Interested in the Team Acme Newsletter? Subscribe below!